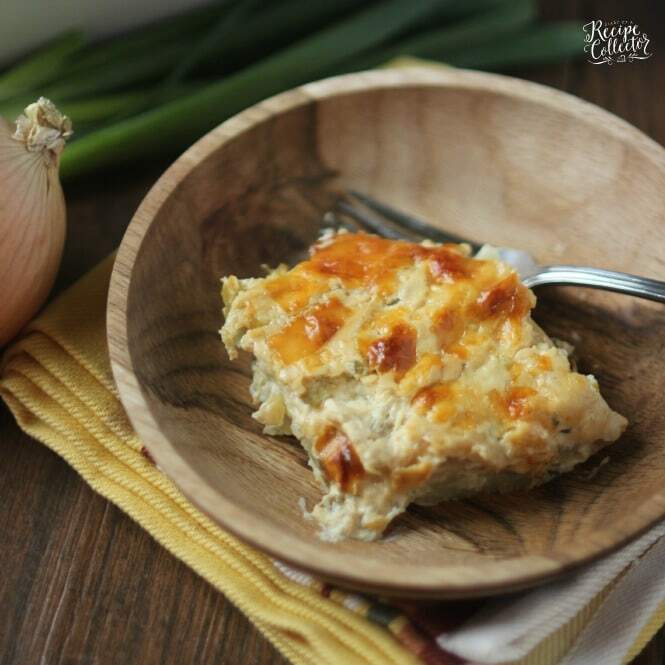 Cheesy Onion Scalloped Potatoes – Layers of thinly sliced potatoes in a rich and creamy sauce filled with caramelized onion flavor. 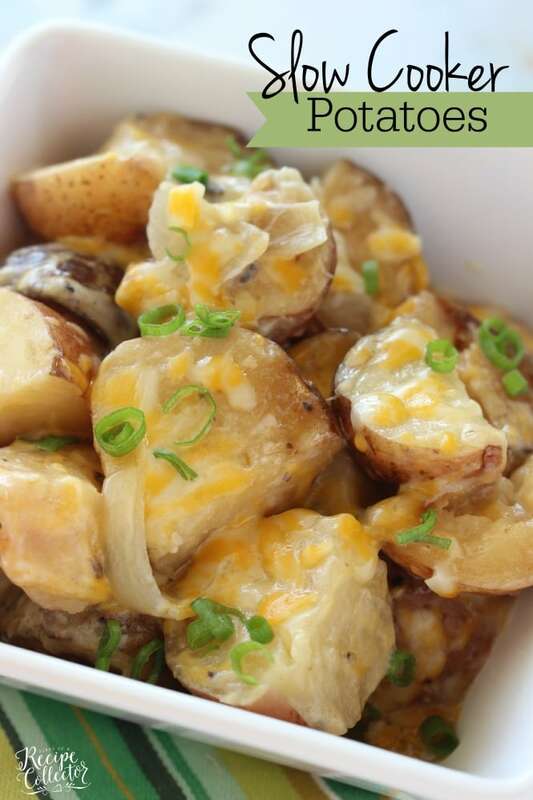 These potatoes are creamy and dreamy!! You know what else is dreamy? Seeing my 8 year old get to meet her favorite Disney Channel stars! We had the chance to go to the Tween Stars Live event in our town on Sunday. Can I just say that I am so glad I bought those tickets for her? It was a surprise, and she was completely ecstatic to meet these kids! I posted a few pics on Instagram. Her favorites were meeting the kids from the show Jessie. I thought it was pretty fun too. After all, I’ve had these shows on in my house all the time for the past 4 years. I’ve kind of watched them grow up too. And I really know what it feels like to be star struck. 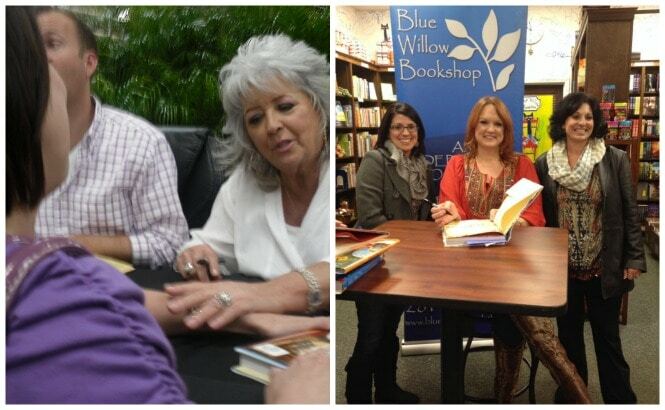 Kind of like the time I met Paula Deen and Ree Drummond. Those were both very fun moments that I will never forget! I’m so glad I got to share in that experience with my little girl! In a large skillet, melt butter and olive oil over medium high heat. Add onions and ½ tsp salt and some fresh ground pepper to taste. Saute for about 20 minutes or until they start to get caramelized and brown. Add garlic and saute for about 5 more minutes. Slice potatoes as thin as possible. Place in a bowl of cool water as they are sliced and set aside while finishing the sauce. To the onions, add cream cheese and continue to stir to melt over medium heat. Stir until it begins to combine with the onions and then add half and half and stir to combine again. Season with creole seasoning. 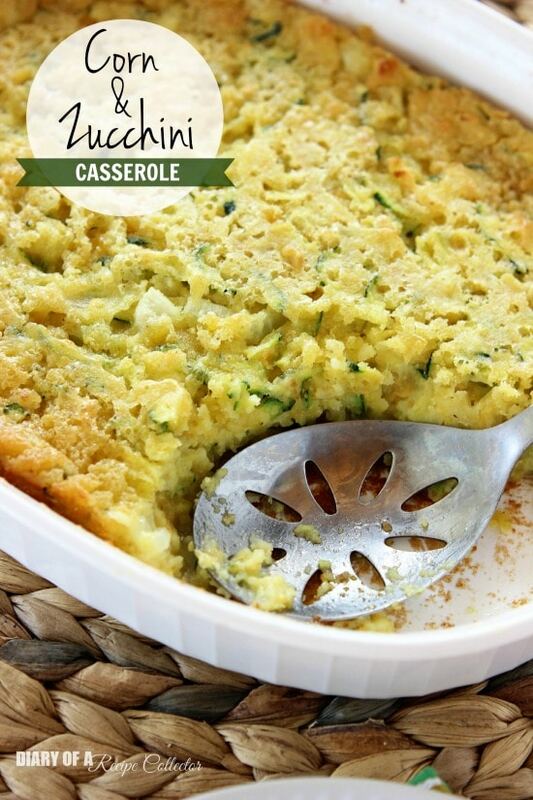 Add green onions and ½ cup Parmesan. Stir and remove from heat. Drain potatoes and spread them in a 13 x 9 baking dish sprayed with cooking oil spray. Sprinkle with 1 tsp of salt and some fresh ground pepper. Pour sauce over potatoes and top with remaining Parmesan cheese. Bake for 1 hour until golden brown. Let rest about 10 minutes before serving. Looking for other great sides? Your daughter looked so happy to see the stars! What a lucky girl 🙂 Now, these scalloped potatoes look darn delicious and something I wish I had a bowl of right now! What a fun experience!! 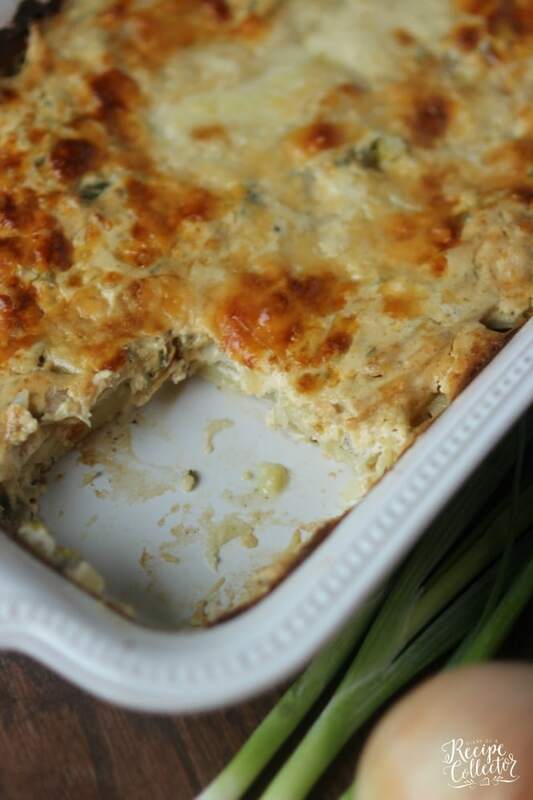 These scalloped potatoes look so good. I love them and haven’t tried making them extra cheesy like this! I met Paula Deen once too. I actually took a cooking class at her restaurant…she was pretty hilarious. 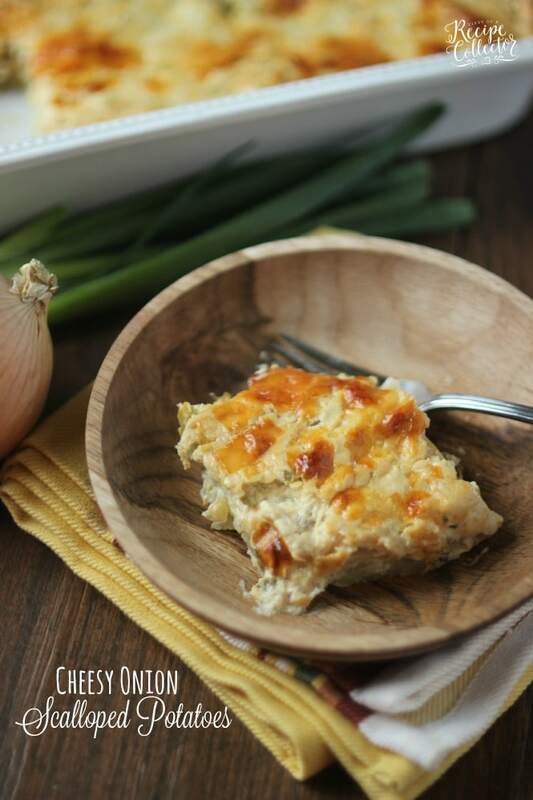 Your scalloped potatoes sound wonderful…my kids (and I) are big scalloped potato fans. I know these would be a huge hit in our house! Mmmm caramelized onions is where it’s at! How fun for your daughter! What a fun experience for your daughter! These potatoes sound amazing! 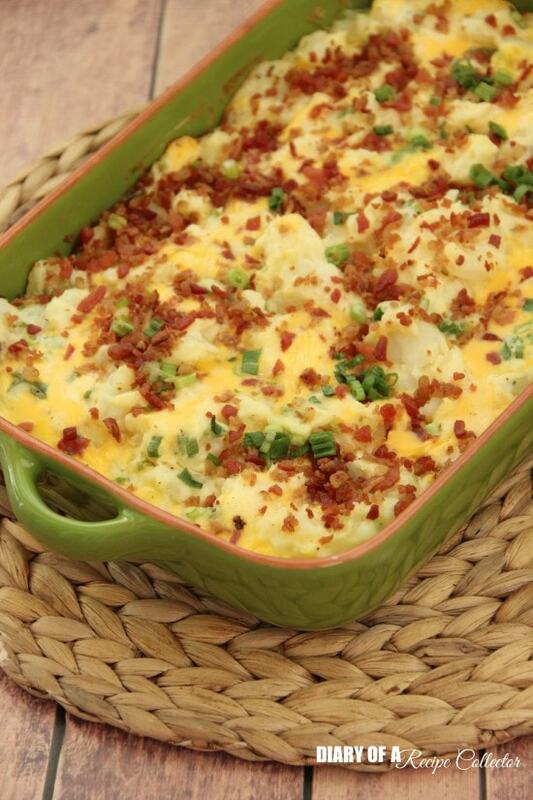 I love just about any type of potato but adding the caramelized onions…………WOW!!! So cheesy!! How could I not love these?! That is SOOOO fun for your daughter! I have to say, I’m kind of jealous! 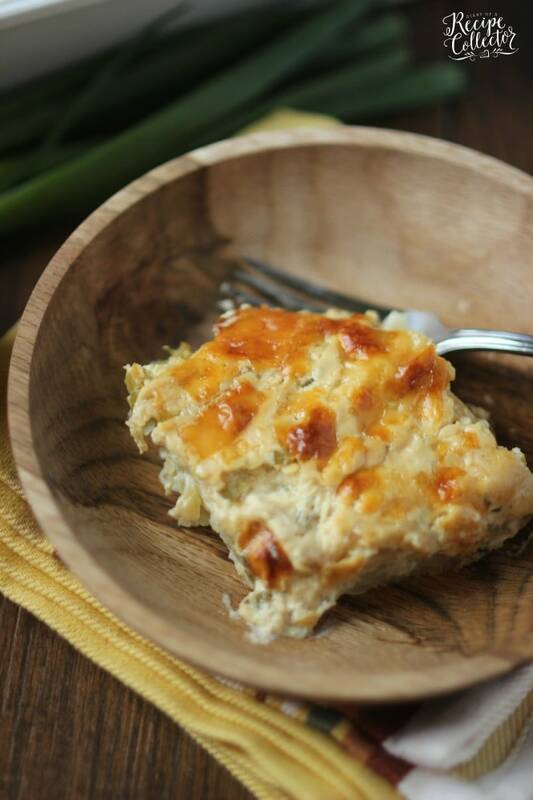 These scalloped potatoes look incredible! Pinned! where is the garlic to be added it? Listed in ingredients but not added to recipe. Hi Davia! Thanks for catching that! You add it in at the end of browning your onions. I updated the recipe.